the life of a wife: Do your kids take vitamins? Do your kids take vitamins? I've been reading French Kids Eat Everything, trying to learn the secrets of not having a picky eater. Even if you do have perfect little French children who happily eat all of their veggies, a multivitamin never hurts! 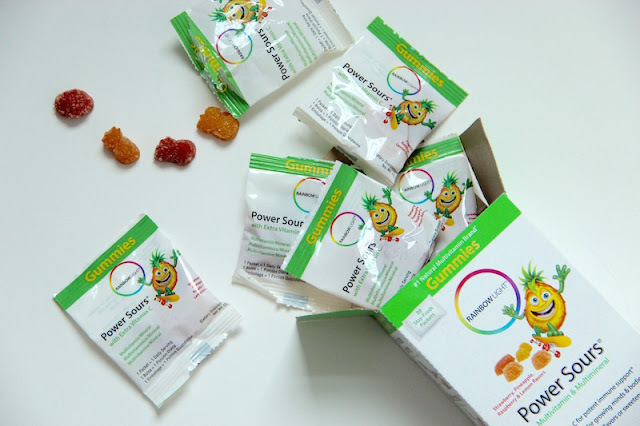 You can shop for these gummies plus vitamins for the whole family here. Do you take vitamins? What vitamins do you give to your kids? Disclosure: I received this product for from from the sponsor of the Moms Meet program, May Media Group LLC, who received it directly from the manufacturer. As a Moms Meet blogger, I agree to use this product and post my opinion on my blog. My opinions do not necessarily reflect the opinions of May Media Group LLC or the manufacturer of this product. Their probiotic gummies are the best - so delicous!! The only vitamins I take are pre-natal ones :) I've thought about it with our kids, but they have seemed so healthy. This is definitely something we need to re-think. I have been wanting to read that book! Our kids do a pretty good job--they're required to eat what we eat. And it's been fun to see them learn to like things they didn't like before.